2 days, 5 workouts … and a PR! Monday I got up and ran to school. It has been quite a while since I have done this. I remember it being difficult and painfully slow when I did it before. The run is about 5.5 miles. I averaged 8:11. I remembered reading an article a while back about breath patterns. The article stressed always using an odd numbered breath pattern so that one side of your body is not always trying to stride and breath at the same time. For an easy run, it recommended 3 to 2. I thought I would experiment. I ran with a 3 to 2 pattern and naturally fell into an “easy” pace a little quicker than my usual easy pace. Since I ran to school, I had to run home. I kept the same pattern going home. I felt a little more fatigued in the afternoon – 8:25 pace. Today, I ran with the Hillview Cross Country Club. We did a mile warm up, a rock set, 10 x 10s hill sprints, and a 1 mile cool down. This was only 3 miles in total – it focused on strength. Back to tonight’s workout: 10 x 90s with 90s recovery. I got there a little earlier so that I could do a 2 mile warm up. When it was time for speed, i was feeling pretty good. My goal was to get under 90s as much as possible, though in view of recent results I was not sure if I could. It went VERY well: 89, 91, 90, 88, 88 …… 88, 87, 85, 88, 83!!! I have never raced a 400…. I think that that 83s is my PR! After the HDR workout, I once again headed to the Clayve for the usual assortment of strength work! 2 days – 5 workouts – 1 PR! Well, maybe two, the 85 was probably a PR and then I did the 83…. 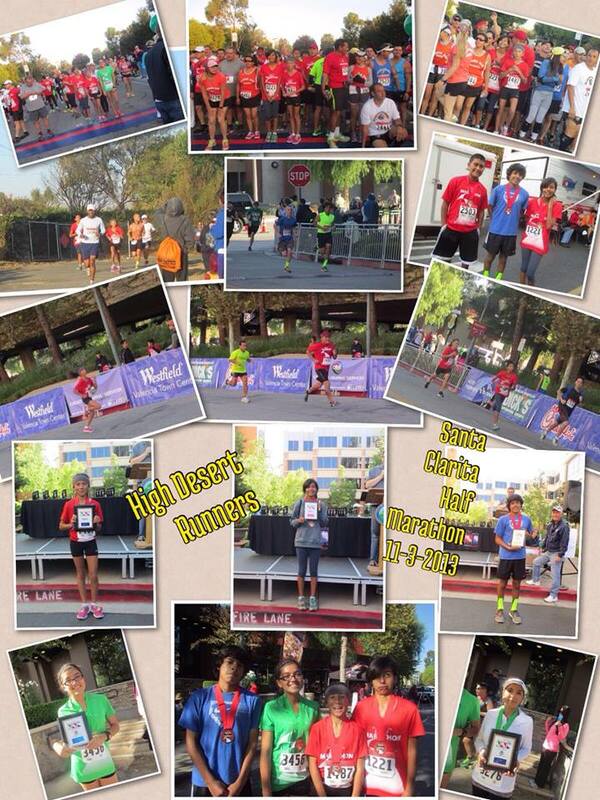 Congratulations to everyone that ran in Santa Clarita!